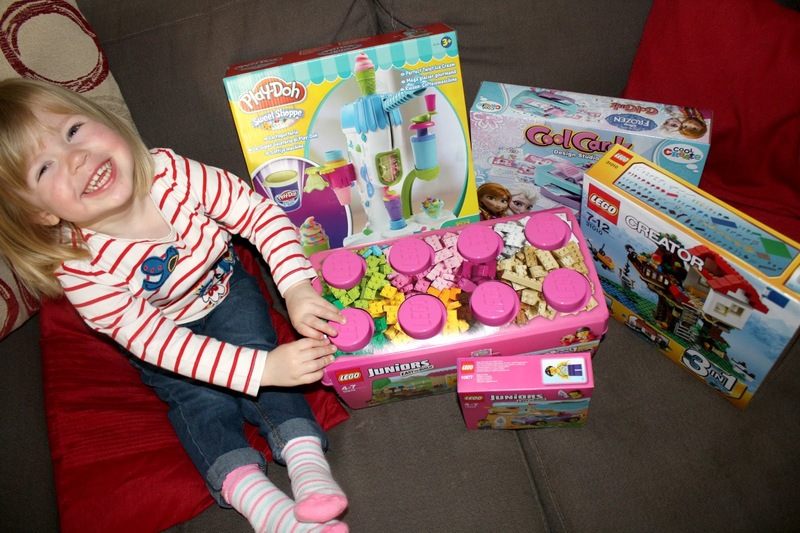 Last week a very exciting parcel arrived for Ava, she had been asked to review some toys from the George at Asda range and it's safe to say she was thrilled! Ava is obsessed with Play-Doh, and I mean obsessed. I'm not too keen on it myself, purely because it get's everywhere and she leaves tubs open so that the Play-Doh goes dry. That being said I know that it would make her day if she had a new set. George has a huge arts & crafts section which includes many well known brands. I chose the Play-Doh Ice Cream Parlour for Ava and she was keen to get it unboxed. The product is for ages 3+ but it was something that I had to help her with, I had to build it for her and some of the parts were quite fiddly. 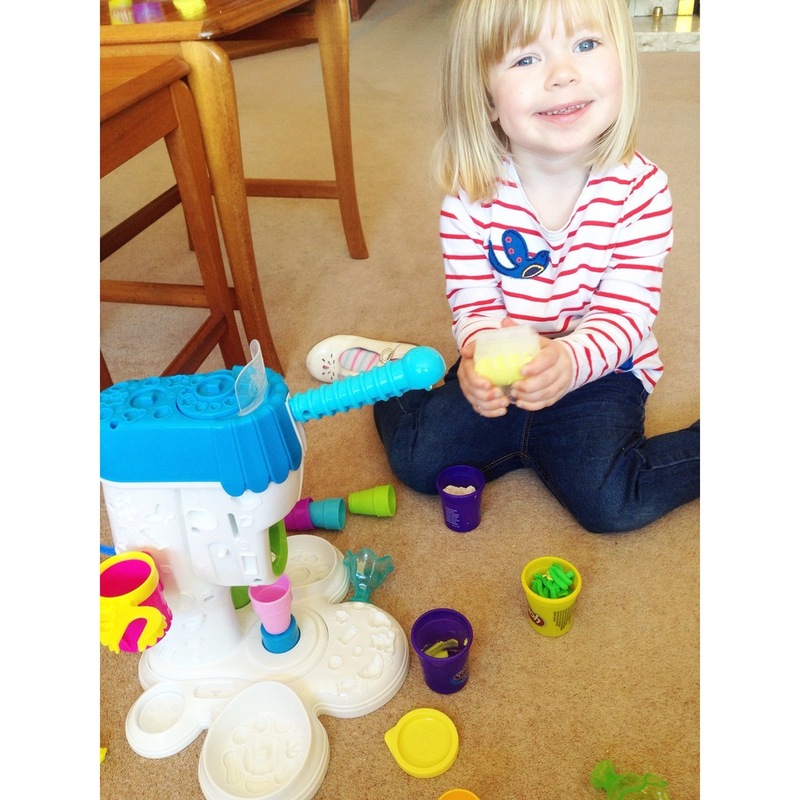 We enjoyed using this and she's been playing with it on a daily basis, a great toy for a rainy day. 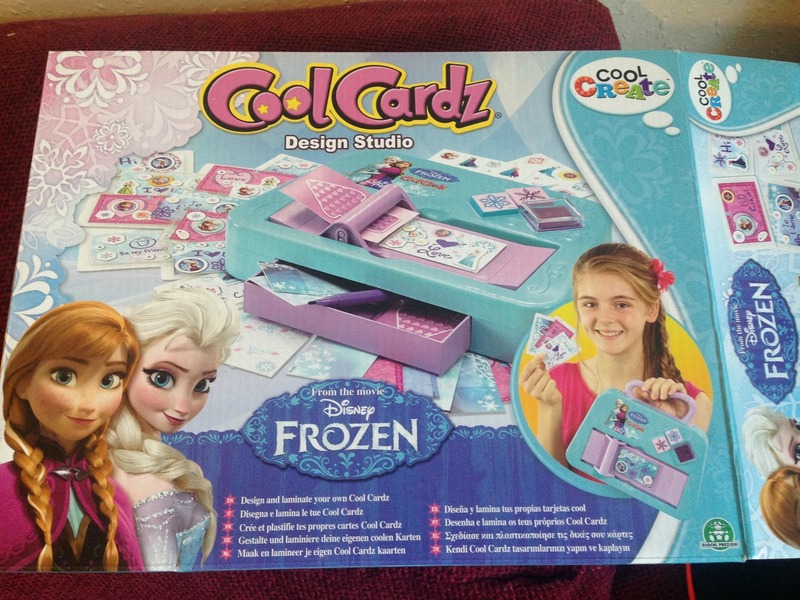 From the arts & crafts section we also chose the Frozen Cool Cardz Design Studio. I wanted something crafty that Ava and I could do together but I must admit I didn't look at the description of the product, I just saw the words Frozen and card and assumed that it was a Frozen greetings card maker. Well I was wrong, that will teach me in future. It was a gadget to make Frozen laminated cards which I think for £17.97 is super pricey. It's for ages 6+ which, as we were going to do together I didn't think would be a problem, but the instructions were that complicated I doubt a child of 6 would have been able to use iton their own. We were disappointed with this product but that is partly my fault for thinking it was going to be something it wasn't. We then got some Lego , Lego brings back amazing memories from my childhood and I knew it would be something Ava would enjoy. 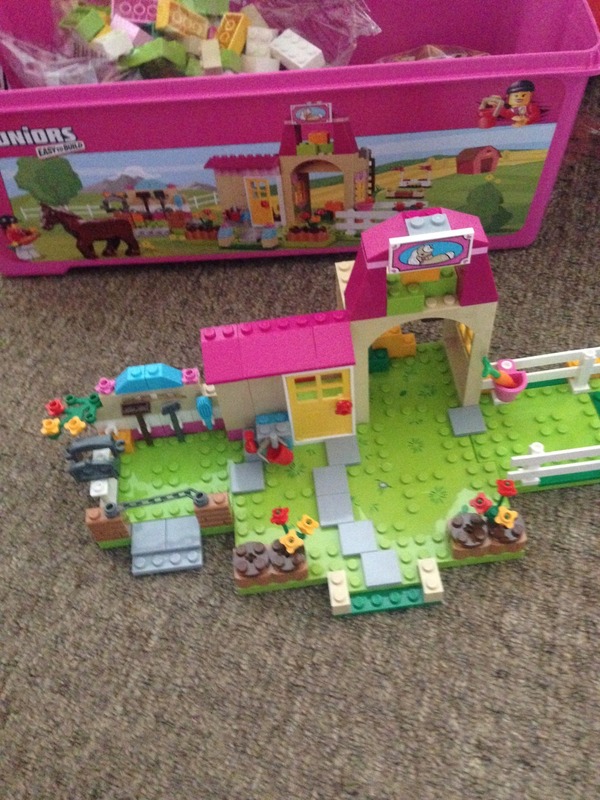 We got the Lego Junior- Pony Farm which comes in it's own plastic storage box which I loved. I have to admit I think I enjoyed this as much as Ava. We built the farm together with me telling Ava which pieces I needed and her getting them for me. 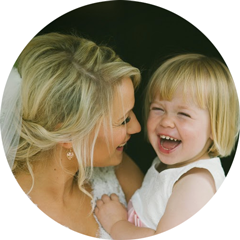 The farm is very easy to make and the instruction booklet comes with endless possibilities of things to make which makes the product go much further. 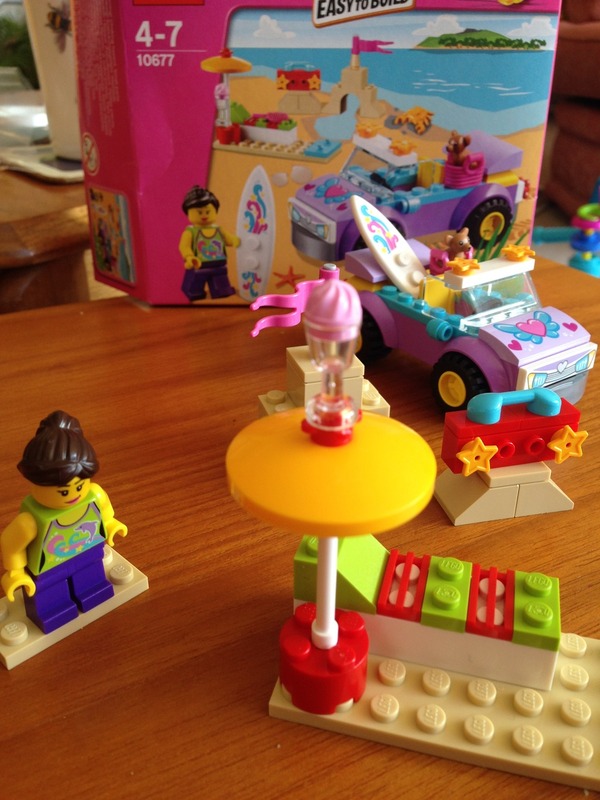 We also received the Lego Juniors-Beach Trip set which again, she loved. She's enjoyed putting it together and using both the Beach Trip set and the Pony Farm set together. Fantastic for her fine motor skills. I also wanted to mix it up a little so I chose the Lego Creator Treehouse for my cousin. He's a huge Lego fan so I knew that he would love it. He liked the fact that you can make 3 different things out of the same pieces but the treehouse was the first one that he was going to build. I was impressed with the huge range of toys on offer at George, it's definitely somewhere you can get a huge variety of popular children's toys. *Disclamer- We were sent these toys for free as part of this review, however, thoughts and opinions are 100% my own.